This award is open to candidates undertaking academic research in any Romance Literature, Language or Dialect. Preference may be given to those working in language studies. The award is tenable by postgraduate students who are graduates of the University, registered as candidates for an intermediate or higher degree in the University, or will be registered as such in September 2011. Students who will be entering their 4th year of PhD study in September 2011 will not be eligible to apply. Applicants must normally be graduates of not more than five years’ standing. The award, which shall not exceed £2,300 per annum, is advertised annually with applications for renewal being considered on an equal footing with new applications. Applicants should ask two referees to comment on their research proposal. These references should be emailed directly to Liam Forbes. Applicants are responsible for ensuring that all references are received by the closing date. Your outline should be made available to referees, who will have to comment upon it in their reports to the committee. It should not exceed 1000 words. Applications should be received by 31 May 2011. The selection panel may request applicants to meet them and discuss their current and proposed research at a date to be arranged during the summer of 2011. 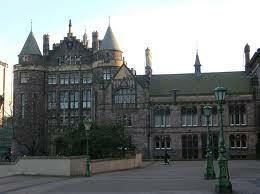 Demikianlah artikel mengenai John Orr Research Award, University of Edinburgh, UK Semoga Bermanfaat Bagi Anda.